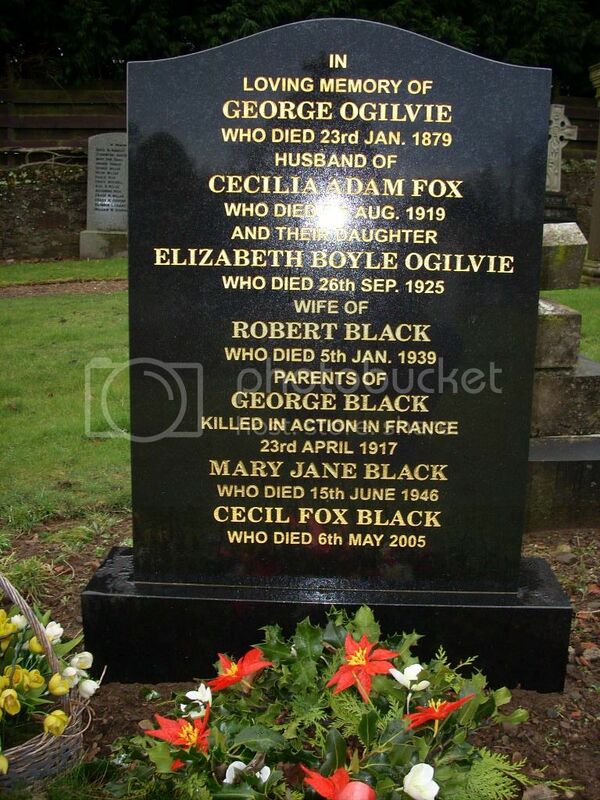 Hi Blackwatch, please do add any you find. You reminded me I had more family stones from Barry so thanks for that! 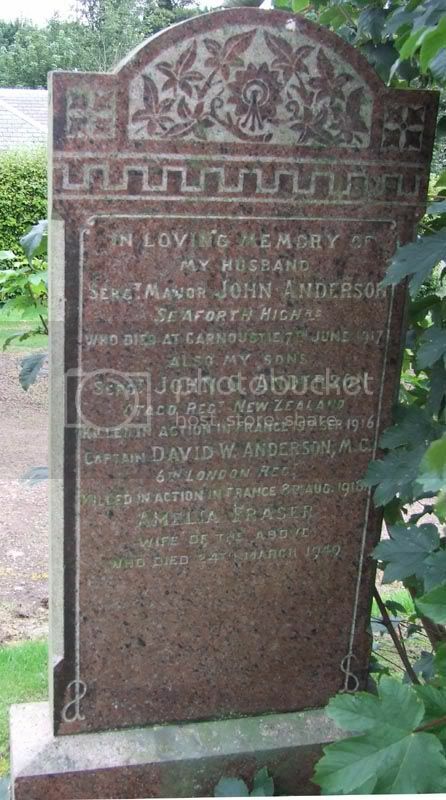 Additional information: Son of George and Jane Malcolm Anderson, of The Willows, Barry Rd. Carnoustie. 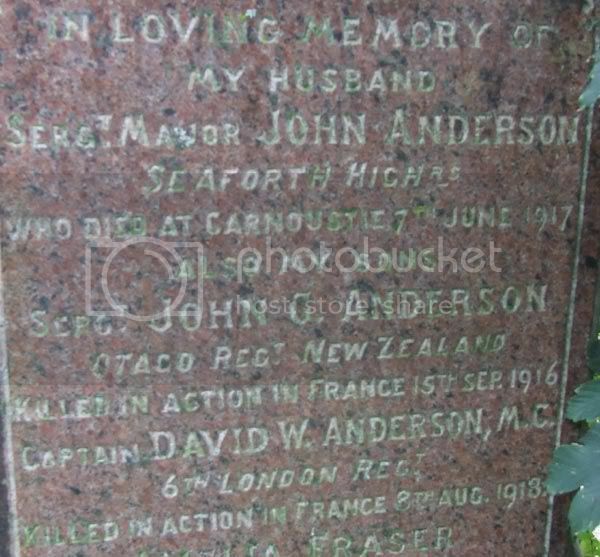 Additional information: Husband of Malieen Elizabeth Barber (formerly Anderson), of Awakeri, Whakatane, Thames. 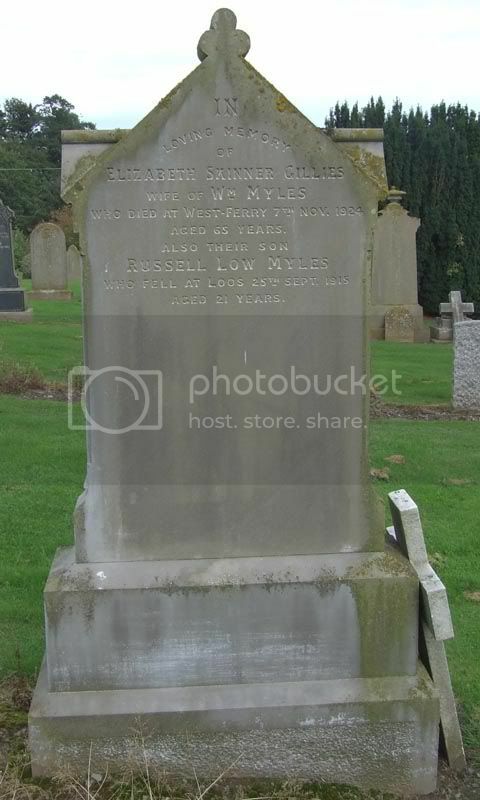 Additional information: Son of Mrs. Amelia Anderson, of 26, Maule St., Carnoustie, Forfarshire. Grave/Memorial Reference: XVIII. B. 8. 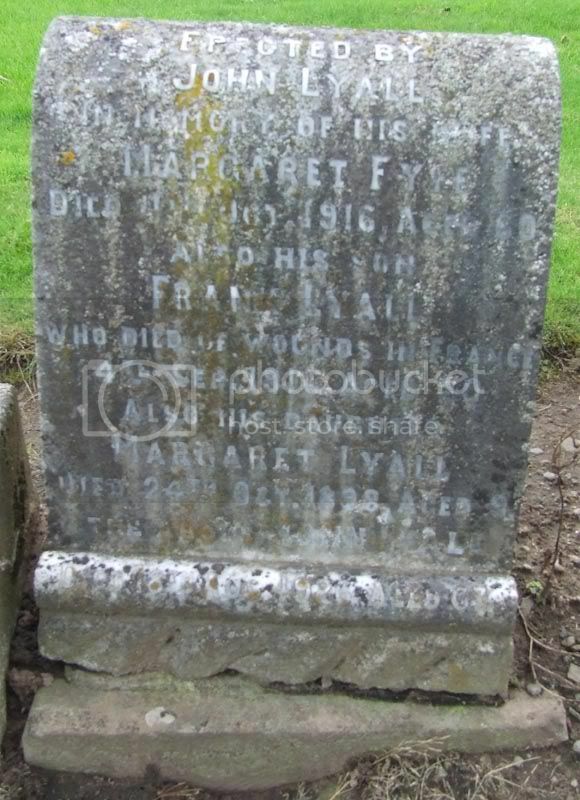 Additional information: Youngest son of Margaret Fyfe and John Lyall, of Carnoustie, Forfarshire. Grave/Memorial Reference: II. B. 1. 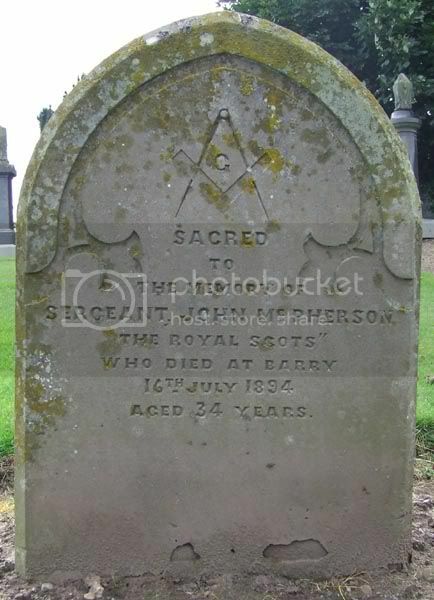 A masonic grave for Sergeant John McPherson who died in 1894. Probably at Barry Buddon military camp.